Blog // GR8 AS U R // Let's Stop Bullying Before it Starts! Our latest Allstar film ‘A Kick in the Grass’ has been featured on Mustard TV. You can watch the video above or visit the page on Mustard TV’s website. We also need you to keep up the momentum by sharing the video with everyone you can as well as liking on facebook and youtube. 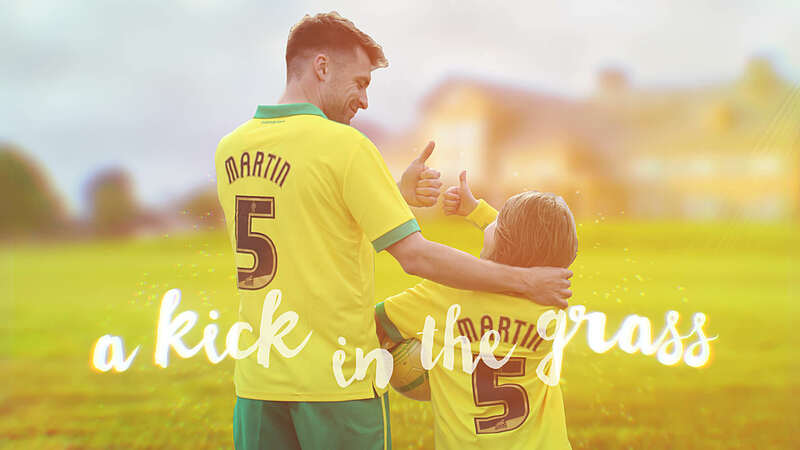 Thanks to the generous support of the Ben Cohen StandUp Foundation, Big Lottery (Reaching Communities), Norfolk County Council and Norwich City Football Club, GR8 AS U R has made its second short film. The cast was made up entirely of school children and features Russell Martin in a starring role. The première screening celebrates the official launch — in partnership with the NCC and supported by the University of Worcester — of a unique programme that empowers children and communities to stop bullying before it starts by inspiring them to be ‘GR8 AS U R’. The event will take place at Carrow Road, and will feature movies, performances and songs from the GR8 AS U R Allstars. The screening completes the Allstars programme experience for all the children involved in GR8 AS U R’s Allstars Bootcamp approach that supports children and families that have been affected by bullying in some way. The children, along with some very special guests, will get to walk the red carpet like the movie stars they are, be interviewed and photographed by the press and then watch their finished film for the first time with family, friends, local dignitaries, Norfolk business owners, representatives from NCFC, International Comedienne Tanyalee Davis and the GR8 AS U R team. Sixteen-year-old Ellie Bea Hitchcock-Wyatt, from Norwich, was crowned the 2013 Bernard Matthews Young Person of the Year after also winning the education category for co-founding anti-bullying social enterprise Bullying Stinkz. Recently the Bishop of Norwich met the team at Bullying Stinkz during the making of our film ‘My name is Allen’. This is what he had to say on Radio 4.